(okay, not all, a few; but I still got you all loads of fun options to try out). 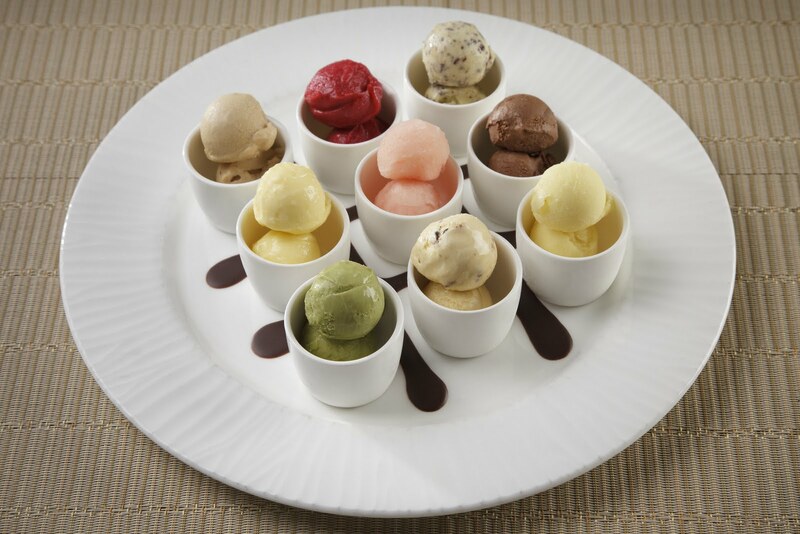 For the unique dessert pizza, head to JW Marriott, Juhu. If you’re a pizza lover, you’re going to love this. 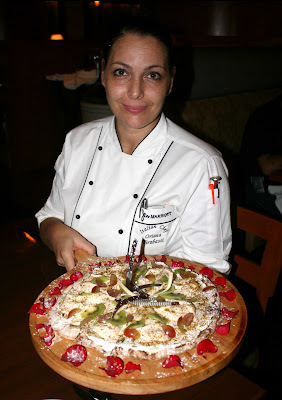 Created by the supremely talented and adorable Chef Oriana, this pizza dessert is spectacular! In her own words, Chef Oriana passionately explains, “I make it like my baby, and I cannot bear it being wasted!” With the base as a thin crust, she layers it with finger-licking mascarpone cream, a variety of fruits, slivers of chocolate and many more yummy ingredients, making sure that you eat every little bite of it. Lately, I’ve been craving macaroons all too often; especially since I read about these kooky chilli and wasabi-flavoured macaroons. Admittingly, I was apprehensive and simultaneously excited to try these unusual flavours owing to the sheer creativity of it. So, I headed to Le15 Pâtisserie, tucked inside a nondescript tiny space in a by-lane of Worli that would have been easily missed had I not been looking for it. Ironically, it had been there for a year! Since I reached half an hour before closing time, I could only sample their chilli and pan flavours. The chilli macaroon, decidedly green in colour, was perfectly spiked with a hint of chilli; enough for me to taste it, and not overpowering enough to sting my taste buds. It was just right. And the macaroon was light as cotton, with a slight crunchiness...I truly appreciate such perfection. The pan flavour, though not something that my taste buds enjoyed, too was bang on. With a pink-coloured macaroon on top and green on the bottom, the play of colours wasn’t lost on me. I also tried their passion fruit, which was simply yummy with a slightly sweet and tingly taste. Ditto for their bitter chocolate and hazelnut flavours. You can also try macaroons at Theobroma, they have a decent range of flavours like chocolate, strawberry and pistachio. However, I found their macaroons weren’t as light as the ones from Le15 Pâtisserie. Still, I would definitely recommend them for their flavour and crunchiness. 1. Combine the egg yolks and vanilla. 2. Place the milk and cream into a sauce pan and bring to the boil. 3. Pour the hot cream onto the egg yolks and put back onto the heat until it becomes thick. 4. Remove the vanilla bean and allow the mixture to cool. 5. Add the Kahlua and start to churn in an ice cream machine. 6. Half way through the churning, crumble in the Amaretti biscuits.